If you have a spare room or a small space that you want to turn into something useful, a small guest bedroom should be a good option. 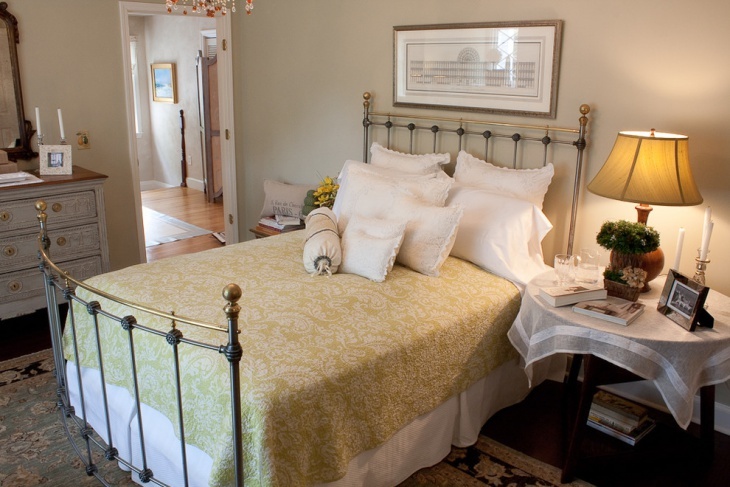 A guest bedroom is always a good space to have, especially, if you regularly receive guests that stay overnight or over the weekend. For a limited spaced room, you need to be very good at planning the interior design. 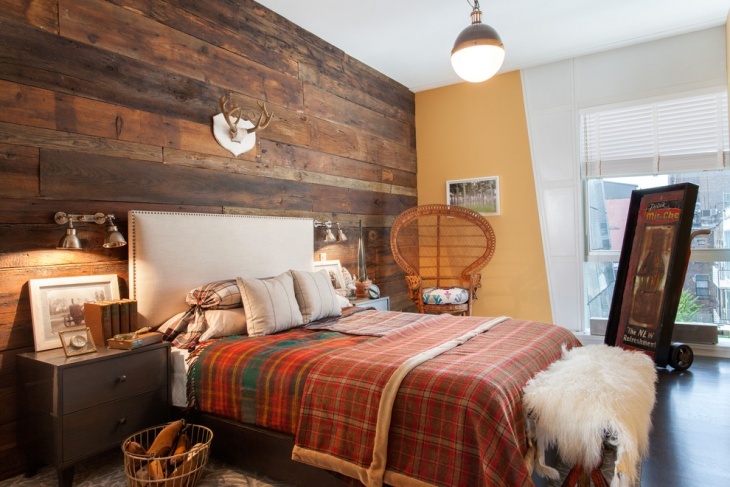 Here are some good examples for small bedroom ideas. Putting two single beds in a small guest bedroom is a good idea. The window provides the flow of natural light. 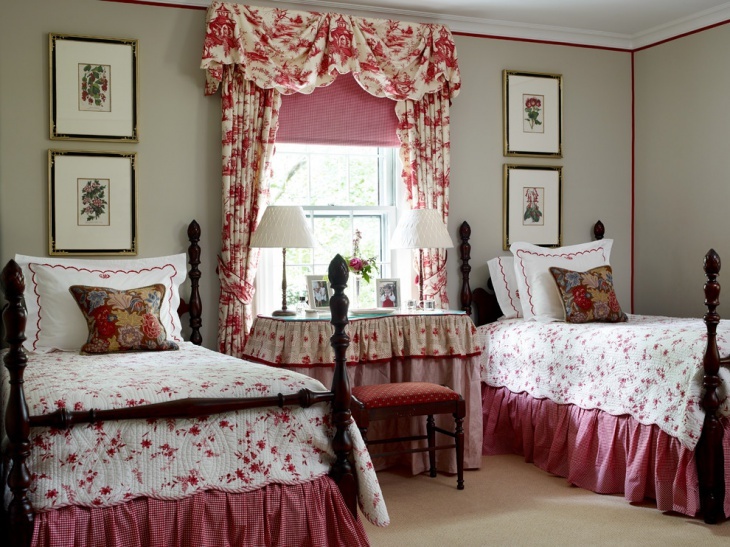 This bedroom is designed in a girly manner, complete with bed and table covers and curtains in a red and white motif. 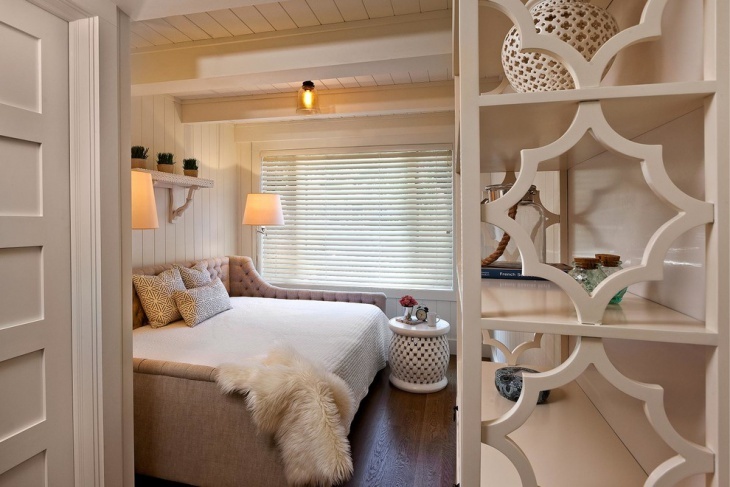 If you have an attic or a loft and you want to make it more useful than just a storage area, this could be your best for a small guest bedroom. 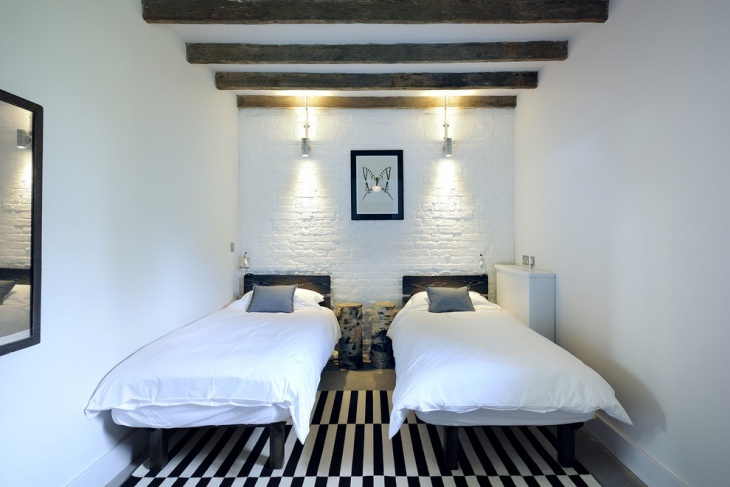 For this loft bedroom, white is used predominantly to provide the look of a bigger space. To make a boring loft look a bit more cheery, a pretty wallpaper graces one wall. The bed is dressed in white, which matched the white couch facing it. An antique side table in light blue gives the space its rustic look. For a more entertaining and welcoming guest room, accessorizing should be a part of your design idea. Like for this bedroom, framed old pictures and artworks serve as decorations, while the storage bench, chair and small round table act as functional features. 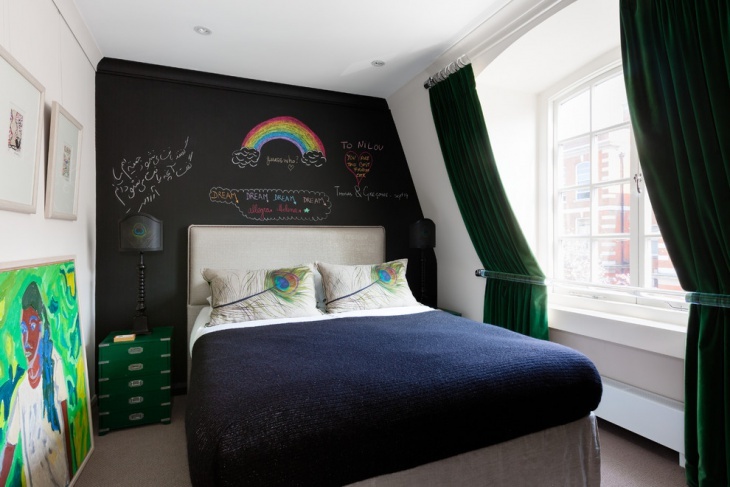 This small bedroom is designed in a very cool manner. This would be perfect for your young guests. The metal four poster is something really unique, while the vertical wall design is a pure delight to look at. The wide window provides a nice flow of natural light, which gives the room an illusion of more space. You can turn your office or library into an instant guest bedroom (or even your own napping area) with a vertical fold out wall bed. 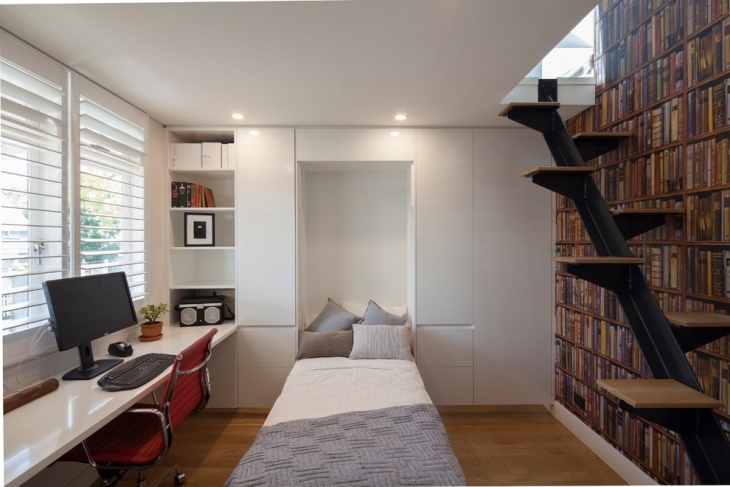 For this room, the space between the built-in desk and the bookshelves is the one reserved for the bed when in use. The space is painted in white, making the small room appear bigger. 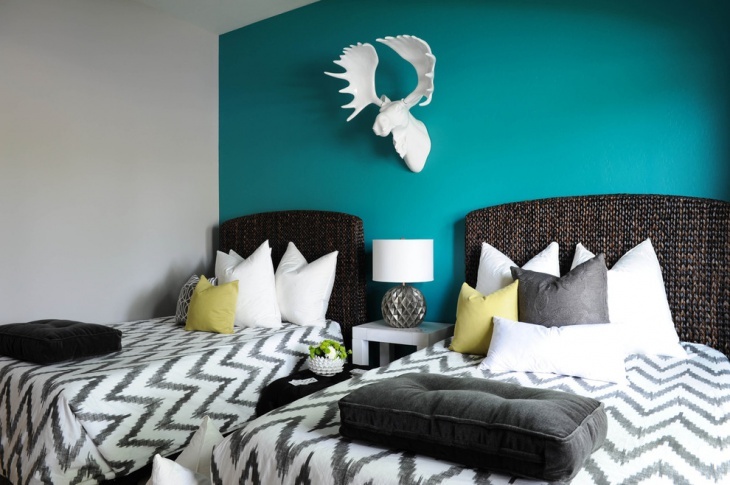 If beach theme is your thing, this guest bedroom should give you some nice inspiring ideas. 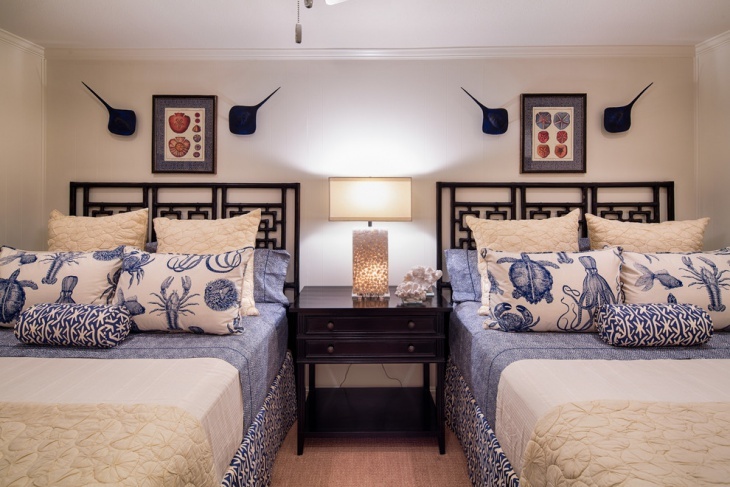 Blue and white is, of course, the color combination used with the two bed dressed in identical sheets and propped with pillows designed with sea creatures. A good interior design is important for your guest room. It gives the impression that you value your guests and the time they spend with you. For this bedroom, the emphasis of the interior is on the beds – draped in sheets of zigzag designed fabric. The white moose head on the blue wall adds some spice to the setup. 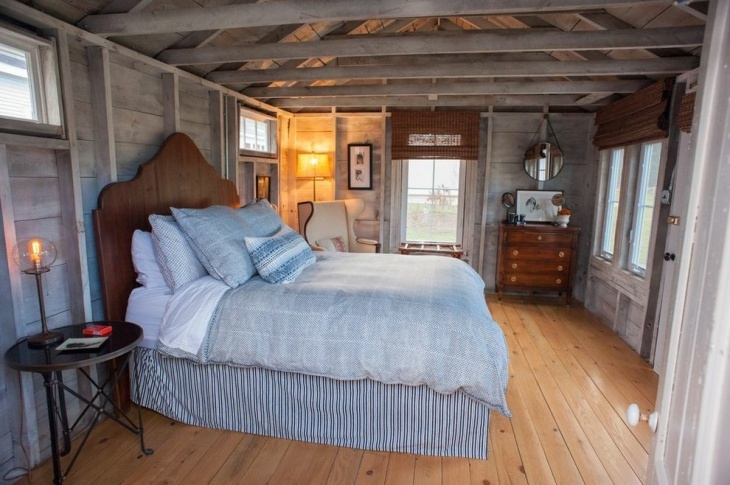 This guest bedroom has a high platformed bed which should be good for your adult guests. The window seat provides a relaxing space and the small round table set is great for a breakfast area. This Mediterranean design bedroom has a lot of space, which allows for a separate living space. The accent of the room is the rustic flooring in natural brown color. The rug used matches the floor to perfection. 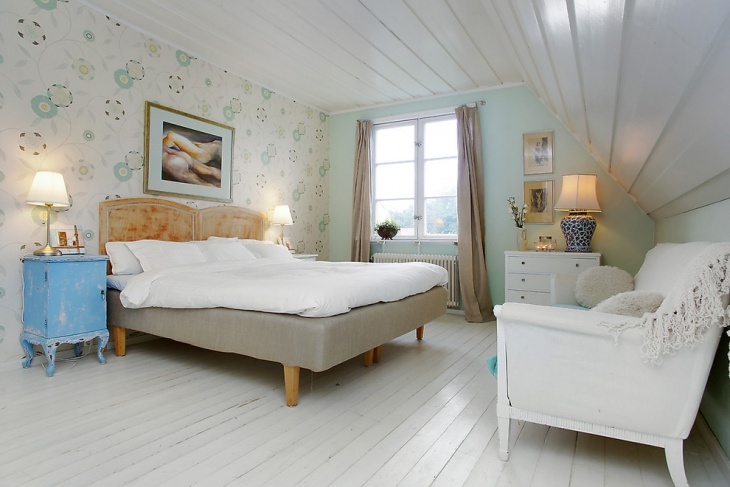 The use of white for this attic guest bedroom is a good idea because it makes the room neutral. 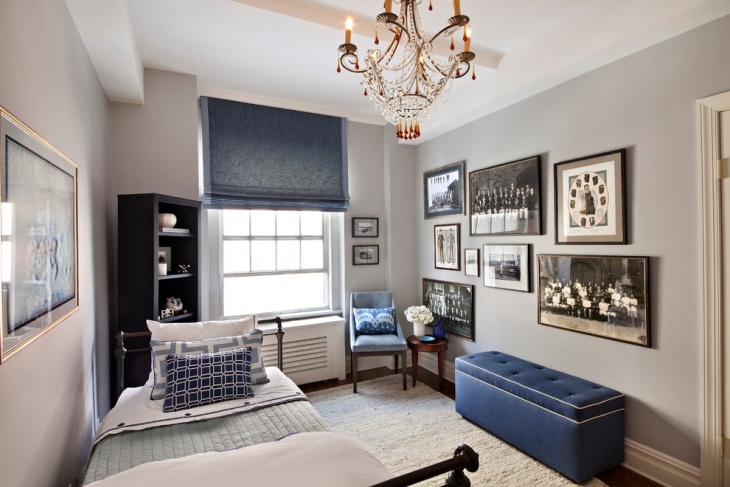 Dashes of blue and black are provided by the pillows and the decorative vases. Natural lighting is in abundance due to the several windows installed.